Black and rusty as ever it holds my lovely mail I recieve . Ok I exaggerate a bit it's not that rusty , but a bit. So here it is ! How was everyones mailboxes ? 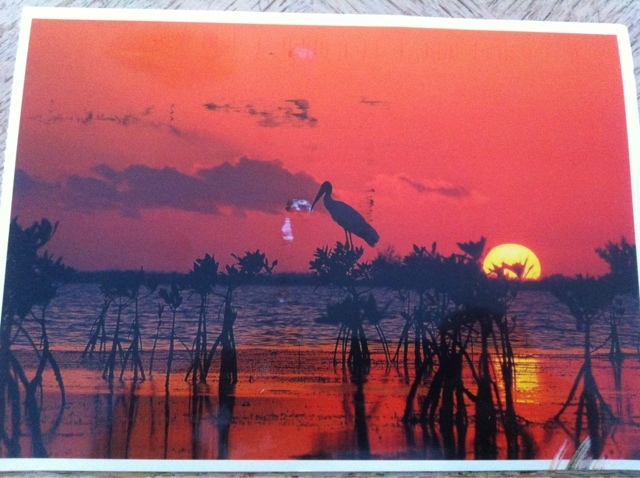 1) postcard via postcrossing.com from Florida . 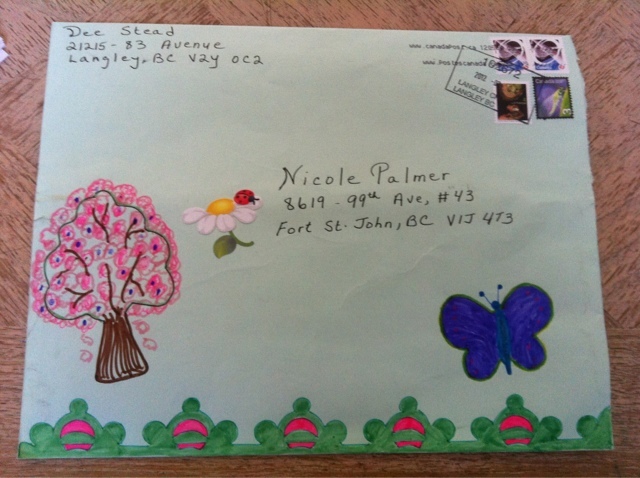 3) my second letter back from my new pen pal Sarah . The first letter is always exciting when you recieve from a new pen pal , but when you get a second or third it gets even more exciting because you know that correspondance is happening .... Ok yeah duh hahaha . 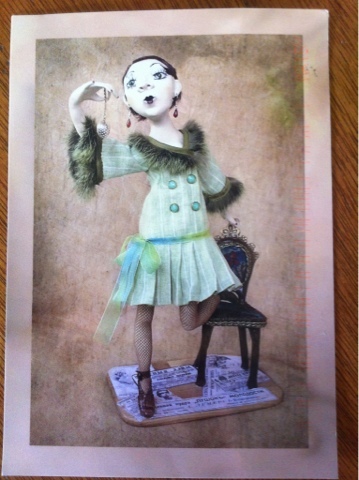 4) neat postcard via postcrossing.com from Ukraine , they are a sports reporter ! 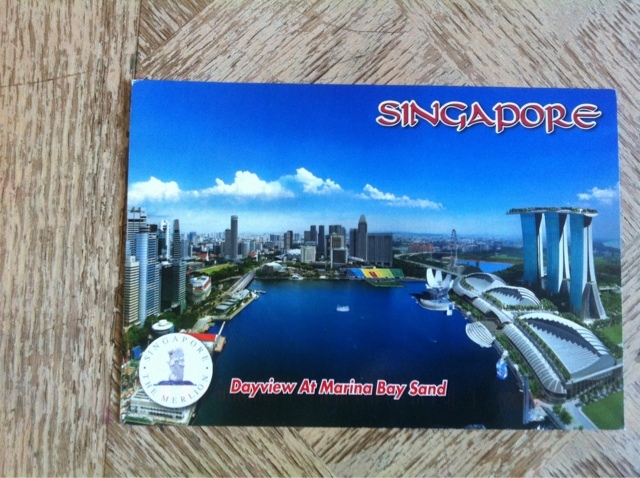 5)postcard from laura ly from http://pleasedeliverto.blogspot.com we are doing a new thing pen pal postcards to try out a faster way of communicating let's see how it goes !! 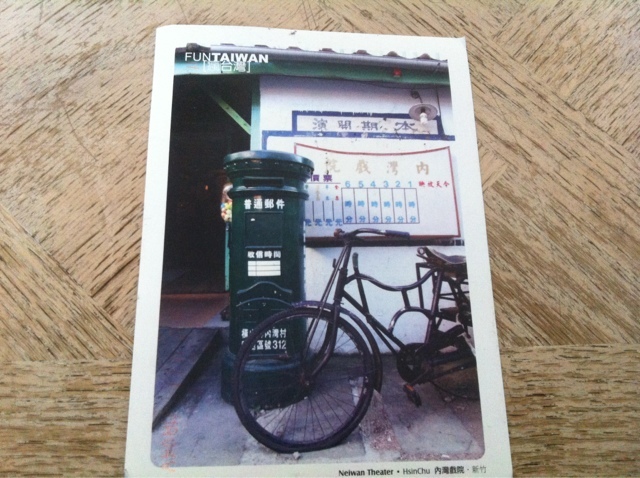 6) I've never got a vertical postcard before and than I got a postcard from Taiwan and thats how I got a vertical postcard ! 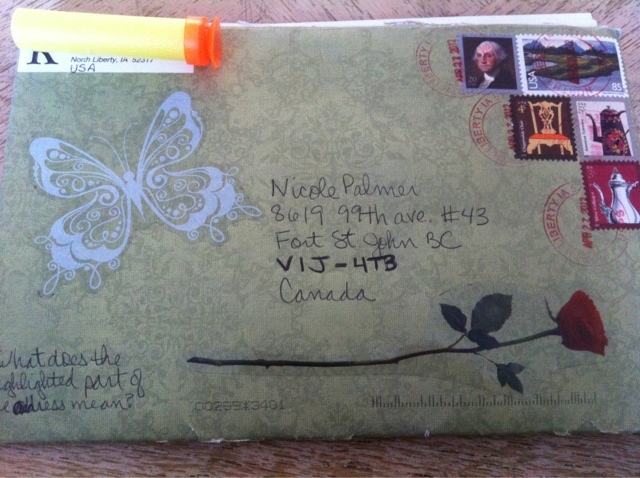 7) super awesome letter from a fellow BC lady . The envelope was huge !! 9) and! 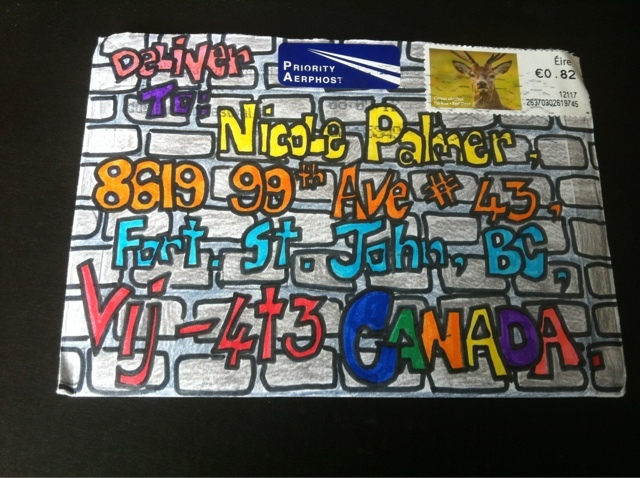 New pen pal! 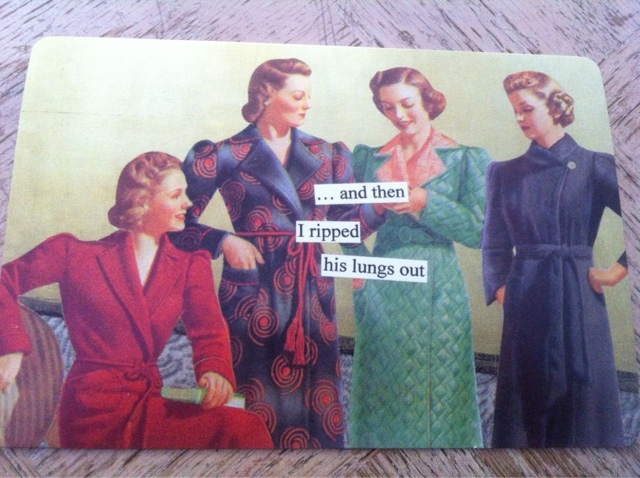 This is for a long letter swap I did from swap bot . 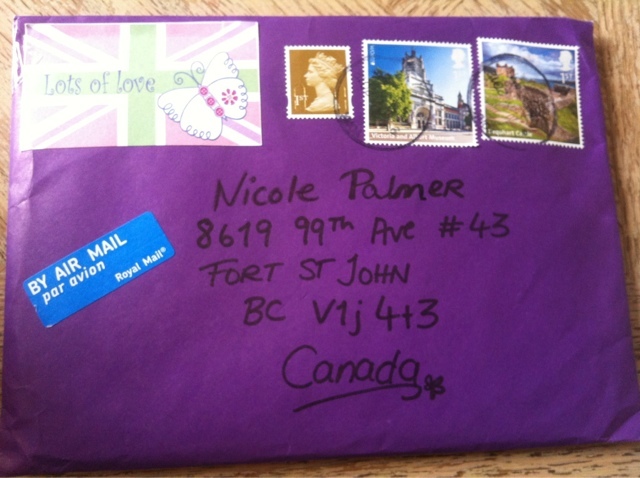 It was for a long letter swap because I <3 long letters :D isn't this such a beautiful purple of an envelope ! My first purple letter !